Paul Simms, one of STECS Co-ordinators with a special interest in dog training has kindly written some K9 tips to help us train our dogs. Paul is very knowledgeable and had his agility dog, Barley, at the Garden Party in the Summer. Thanks, Paul. 1. Dogs do not understand our language, even though many owners assume they do. When commanding a dog to do something, make sure that your voice is clear and your tone is firm. 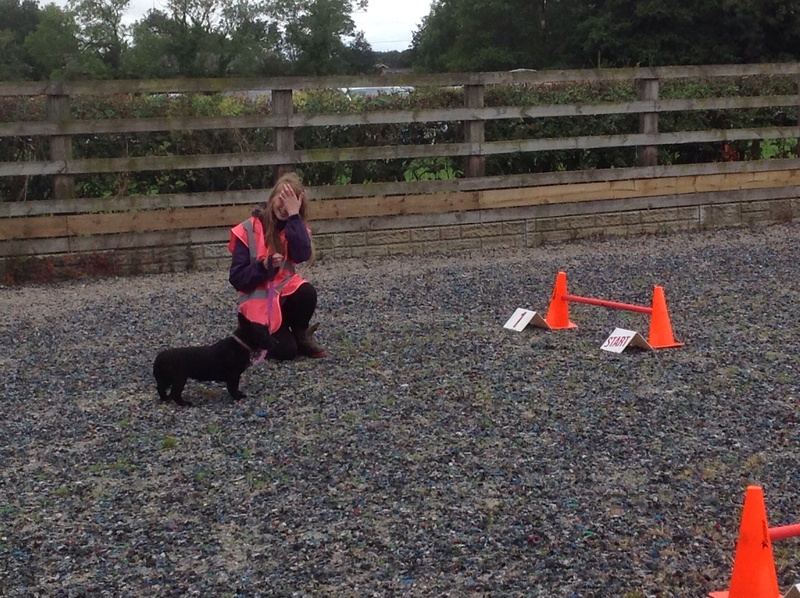 2.The motivation for your dog to learn is praise delivered in a pleasant tone of voice, pack behaviour, food and games. Remember this throughout your training. 3. Before you begin training your dog, be sure you fully understand the exercise and commands you are about to teach. Do not attempt any exercise if you are in doubt. 4. Train when your dog is alert. Tired dogs or dogs which have just eaten don’t do well. 5. The training lessons should be short. Start with ten minutes at first then gradually extend the lesson. Many short lessons are more beneficial than one long one. 6. Avoid making repetitive commands. Dogs are not deaf or stupid. Repeating “sit” ten times does not help. Keeping silent between commands helps the dog to differentiate between the sounds and understand what you want. 7. When training, the dog may begin to lose interest. If this is the case, get him to do an exercise he likes and can achieve, praise him for it and finish training. Play a short game, and then try again later in the day, or on your next training session. 8. Keep up with the training, you are the leader and the dog must be led. A dog that becomes a leader becomes a very big problem. 9. Enjoy your k9 companion. An obedient dog is a content and happy dog. If you have any problems, or need any advice, please contact STECS. There is always somebody out there who can help you.